The Galaxy-S series arguably houses some of the best smartphones ever made by the South Korean giant. The Samsung Galaxy S9 is the latest member/entrant of the series and as we edge closer towards 2019, and given Samsung’s tradition of releasing a new Galaxy S smartphone annually, it’s almost time for the unveiling of the Samsung Galaxy S9 successor. Customarily, Samsung unveils a new Galaxy S flagship in the first quarter (Q1) of every year. It’s barely 2 months to that period, meaning the Samsung Galaxy S10 is coming soon. And as it is with any Samsung flagship, there are always speculations, rumours, leaks, renders, and other pre-launch information. We compile some of the highlight rumours and confirmed Samsung Galaxy S10 news under the header below. For the first time ever, a Samsung-branded smartphone will be coming with a notch… and the upcoming Galaxy S10 could be the first from the South Korean giant to sport a display cut-out. Weeks ago, at its 2018 Developers Conference, the company announced the different possible form that notches would take on its flagships in 2019. Now, reports have it that the Samsung Galaxy S10 will come with an Infinity-O notch — an fully circular O-shaped cut-out at the top-left corner of the display. As announced by a Samsung official at the event, the notches are “around the corner”, affirming that the Galaxy S10 will truly come with a notch. 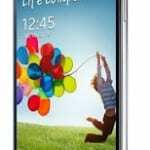 Samsung equally announced the latest iteration of its Exynos chipset. 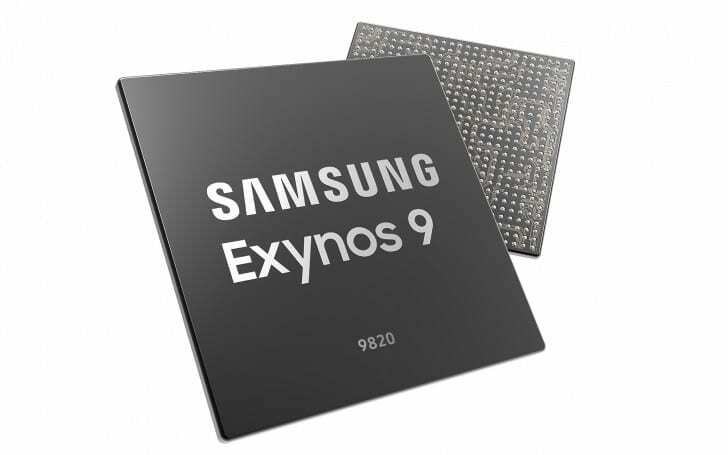 Although it was only officially announced, Samsung says the Exynos 9820 will power its 2019 flagships and go into mass production before the end of the year and is definitely going to be ready for use on the Galaxy S10. The Exynos 9820 is fabricated on the 8nm LPP FinFET technology and, compared to the Exynos 9810, bring on improvements in the aspects of performance, processes, power saving, upload, and download speeds, as well as artificial intelligence, thanks to its new dedicated neural processing unit (NPU). A good number of smartphones that launched this year with their fingerprint readers beneath their display used optical sensors. Samsung, however, will be using ultrasonic in-display fingerprint sensors on the S10 which will be supplied by three companies: Qualcomm, General Interface Solutions (GIS) and O-Film. The Galaxy S10 will be the first Samsung phone with an in-display fingerprint sensor and the use of ultrasonic over optical sensors means the functionality of the sensor will be resistant to external force like lightning conditions and a couple of other factors. In fact, there is a probability that the whole screen of the upcoming Galaxy S10 would be able to read fingerprints. Following in the footsteps of the Galaxy A7 (2018), Samsung will also embed three optical sensors on the rear of Galaxy S10. 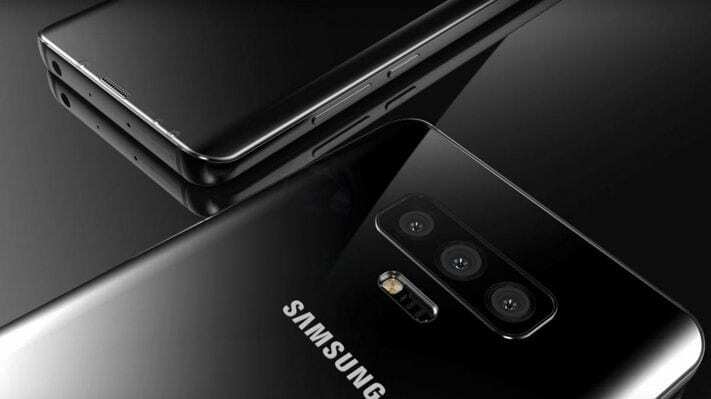 And while there are no official words on the number or quality of camera to be used on the device, there have been reports that Samsung will use the same 12-megapixels primary sensor as the Galaxy S9. It will also come with variable (f1.5/f2.4) apertures. Supporting the primary camera will be a secondary 16-megapixels super wide-angle lens and a tertiary 13-megapixels telephoto lens. The Samsung Galaxy S10 is the 10th year anniversary of the Galaxy S flagship series. As such, Samsung is trying all it can to make it the sleekiest Samsung smartphone ever. It is in this light that Samsung will be releasing at least nine colour variants of the Galaxy S9 in new gradient color schemes, as confirmed by Forbes. 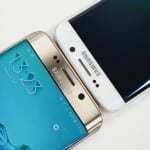 Usually, Galaxy S devices are unveiled in twos — a regular model and an advanced Plus (formerly Edge) variant. Perhaps because the Galaxy S10 is celebratory/anniversary device (like the Apple iPhone X), it will be coming in four different variants. Reportedly, Samsung will be giving Galaxy S users an optional break from curved edges as the base Galaxy S10 will come with flat sides and edges. There will also be a model with curved edges and dual rear camera, another one with triple rear camera, and lastly, a top-tier variant with all the best features plus support for 5G connectivity. According to Samsung, the Galaxy S10 will be launched in 2019 and should be unveiled before it commences mass production of its Galaxy F foldable phone by March. 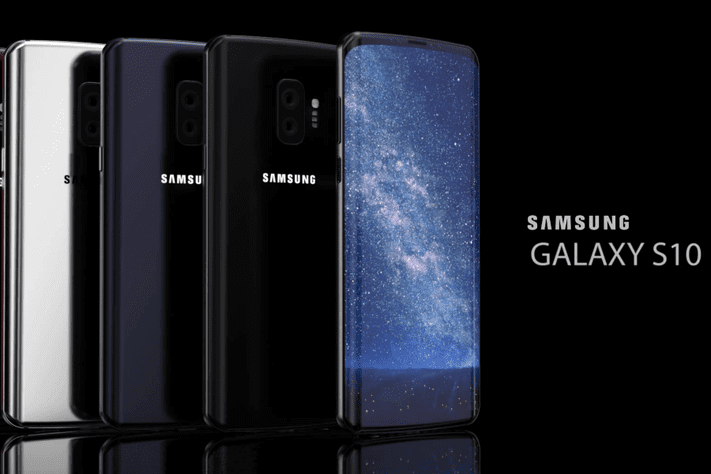 That leaves the expectancy period of the Samsung Galaxy S10 between January 2019 – March 2019 (i.e Q1 2019). For more Samsung Galaxy S10 news, updates, and information visit and subscribe to our news portal (news.naijatechguide.com).